A classic holiday photo card with a candy cane twist. Personalize with your favorite photo and greeting. 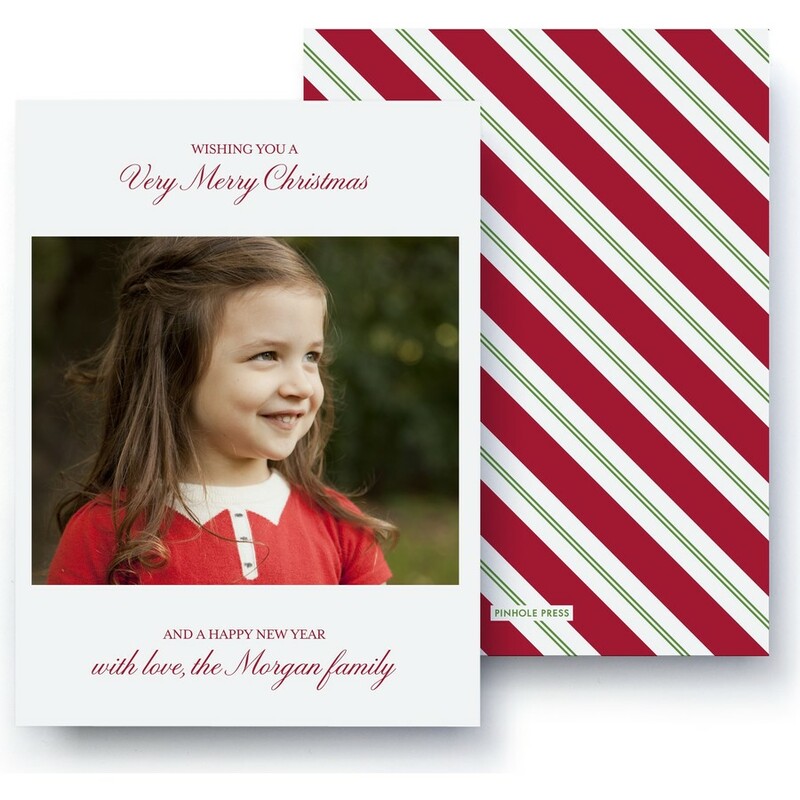 This premium holiday card is printed on ultrathick paper featuring a red pinstripe.